Kira Hug and Rob Marsh are back with another “guestless” episode where they talk about what they’re doing right in their own businesses and what challenges they are struggling with. Plus they recap a few of the things they’ve learned from the previous 10 episodes—like the importance of process, being willing to share and teach others without expecting to get something in return, taking time for yourself, balance and much more. Click the play button below, or scroll down for a full transcript. Rob: You’re invited to join the club for episode 30, as Kira and I talk about our favorite advice from the last 10 episodes of the podcast, plus what we’re doing right now in our own businesses, what we’re struggling with, and what’s next for The Copywriter Club. Hey, Kira. Kira: Hey, Rob. How are you doing? Rob: I’m good. How are you? That’s kind of a loaded question knowing what you’ve just been through that last day or so. Kira: But how are you doing? Rob: Yeah. I’m doing great. Things are good, and I’m actually excited to chat a little bit about what we’re doing here today. Kira: Yeah. Before we jumped into this conversation and started recording I shared with Rob that I’ve been freaking out over the last 24 hours because my MacBook died on me unexpectedly. I guess you never really expect it to die. Rob: It is the nightmare scenario for … I just can’t even believe it how bad that is. Kira: Yeah, because you do realize it’s your everything. It is your business. It’s like your brick and mortar. I was thinking, I was like, “This is almost as if my brick and mortar was just broken into and I had to shut down the business for a day.” I think just timing is never good for something like that, but especially this week. It’s two of my clients’ big launches and I’m working on another sales page, so I was like, “It definitely is not the vest week,” but that’s just how it happens, right? Rob: There’s never a good week for that kind of stuff, but yeah, this is a good reminder to everybody to back up your hard drives right now. Push pause on the podcast and go back everything up, because you will lose it if you don’t eventually. Kira: Yeah. This is really just a public service announcement instead of an episode. Back up your stuff now. Rob: Yeah, sponsored by all of the backup software out there. Kira: Seriously, all of the laptop rental companies must make out pretty well, but anyway here we are. I am excited to talk to you about what’s been happening in your business and also what we have brewing. Rob: Yeah, this is going to be I think a little bit different from most of the other podcasts that we do. We did something similar in episode 20 when we reviewed a lot of our favorite episodes from the first 20 episodes. I think we want to do some of the same today, but we wanted to start out just talking about what’s going on in our business, and what we’re doing right and maybe what we’re not doing so well. Maybe we should start with you, Kira, with what’s going right in your business. Kira: Okay. Lots of things are actually going right, although you wouldn’t know it if you talked to me. What’s working really well right now is I have incredible clients, and I realize that many copywriters are able to say that. I have been at stages where I haven’t been able to say that. I’m finally kind of there where I just really click with them, I really like then, and I’m working on projects that I really care about, that are exciting. That’s been really positive, and I’ve also improved at saying no to things, projects, speaking engagements, just like courses, programs. I am saying no finally. I am not a no person. I am a yes ma’am, people pleaser, yes person. Kira: That’s been huge. I would say that has been really good so far. Rob: Cool. Okay. Now what about the struggle? What’s just not working for you? I’m kind of digging my way out of it now where projects are ending and I have the chance now to finally kind of slow down a bit. It’s definitely been at least six solid months or more of just going really hard, really fast, working weekends, working evenings, waking up early, like just pretty intense. I brought it on myself. I’m not really complaining, although I’m happy to complain, but I try not to. That’s been a challenge just with my family. It’s really triggered some tough conversations which come up, but it’s also kind of I’m the type of person that needs to just kind of, not hit rock bottom because I don’t think I’ve hit rock bottom, but just like kind of hit a low in order to really figure things out and make some hard choices and make some shifts. What about you? What’s going really well for you? Rob: The stuff that’s going well in my business, and I’m looking back over the last let’s say three to six months, so up until middle of last year I actually in addition to writing I owned a software business and I decided I really needed to focus on writing and that the software stuff that I was doing was sort of pulling me away from that. I sold that business and really wanted to focus on building a platform and getting more writing clients and focusing on that. That’s gone relatively well. I published a book, I’ve dedicated a lot of time to writing my newsletters. I’ve taken on some really great clients, and really tried to focus on the things that I like to work on, particularly sales pages, landing pages, so those pages on a website where people hit it and have the opportunity to download an ebook, or to engage with the client at some higher level. I’ve done that I think relatively well. Then I would say the things that we’ve done with The Copywriter Club has also just been awesome. It’s been not only engaging, but it’s been fun, it’s been great to get to know so many great writers within the Facebook group, within the meetup that we did in San Antonio, what we see on Twitter, and the people that we’ve talked to on the podcast. It’s very engaging, and those things have been going really, really well. Kira: Yeah, and I’ll just jump in there too. I didn’t mention that, but I do think on days where I’ve had a hard time or I do feel like there’s just too much happening, I do feel like the club has been this kind of, it sounds so cheesy, but it just has been this source of light where it’s just like, “Oh, these are my people.” And like, “Oh, we’re dealing with the same stuff.” The growth and the people that are in the group are just these outstanding people, so I think it’s really been helpful on tough days when things aren’t going well to know that other people are dealing with similar challenges along the way. Rob: Yeah, absolutely. Those days that we get to talk to writers and record the podcast, I know we get a lot of good feedback from people who enjoyed listening to what we’re saying and the people we’re talking to, but we get off those interviews, at least I do, and I’m totally excited for the work and for what I’m doing. I don’t even know how to put it into words except that it’s just really an engaging project that has been fulfilling personally for me. Kira: Yeah, same here. We talked about the good. Let’s talk about the bad, the ugly. What’s just challenging you right now? Rob: Yeah, the struggle. I mentioned that I sold off a company so that I could focus on writing, and then I’m not sure if this was a good idea or not but I actually started another company with a partner that’s not writing-focused. It’s a great idea. It’s something that could end up making a lot of money down the road, but it’s definitely taken a lot of time that I’m not dedicating to copywriting every single day. That’s one thing that I’ve really been struggling with trying to find the balance. Now, recently we cut a podcast that we haven’t released yet where we were talking to Misha Hettie about balance. What she said at the end of that episode really struck with me. It’s, “Balance doesn’t exist,” and so to expect that I can get the perfect amount of family time, and the perfect amount of writing time, and the perfect amount of time to spend on other things, it doesn’t exist. Engaging in these two ideas and the club in addition to that means that I’ve spent a lot of time on weekends and late nights writing or working on these other projects, and I’m not doing some of the other things that I really should be doing. Exercise has taken a bit of a hit. I’m not reading like I have in pre … I read tons and tons of books and I’ve read less this year than I have probably in the last 10 plus. That’s kind of been a struggle as well. At some level I know that I need to focus on this stuff, but these opportunities are either engaging enough or there’s enough potential that I kind of want to see them to the point where I can say, “Yes, this is going to happen,” or, “No.” I’m going to continue struggling with that, for good and bad. Kira: Yeah, I was just going to ask you how you reconcile the balance, or lack of balance, when you know, “I’m not exercising. I’m not doing these things I like to normally do, or spending as much time with my family.” It’s like do you just know when you’ve had enough and you’re ready to kind of make that shift again? Rob: Occasionally you come to a day where it’s like, “I just I have to stop. I have to go take a nap,” or, “I have to go to bed,” or whatever that is. With any startup, and I’m not just talking about the startups that I’m involved in, but Silicon Valley, or somebody who’s just starting a business, or new writers that are just starting out, it takes a ton of focus and a ton of time, and to say, “You know what? This is only going to take me 30 hours a week and I’m going to sit on the back porch and just, you know, sip nice cool drinks and enjoy the summer,” or whatever that is, I just am not sure that that’s realistic. Where I see, hey I’ve got these ideas that I want to pursue, I want to see if there’s going to be anything there. Yeah, I just throw myself into them and I know that at this point in time, hopefully I can eat right or get just enough exercise, or spend just enough time with the family that all that stuff can sort of stay okay. But trying to achieve balance, I know that that’s not going to happen. Kira: Well, and I’ve got to give you credit because when we were in Texas you mentioned that you did give up sugar. Which episode was it? Rob: I think we talked about it on a video actually in the [crosstalk 00:10:50] group. Rob: I don’t think we talked about it on a … Nobody that listens to the podcast would actually know that. Most of the people in the group weren’t even there when we talked about we were both giving up sugar for the year. Kira: That’s a good thing. You don’t know all the goals that we set and how we’ve failed. Except that you have not failed. You gave up sugar and you have actually avoided sugar, whereas I gave up sugar and I am back into it. I gave up rather quickly. Rob: So yeah, I’ve done really well on that, although I will admit we had some friends from the UK who just sent us a gift box full of English chocolate, and I did actually have a little bit of that while it lasted. We’re back off. We’re back in the groove of things, but yeah. It hasn’t been perfect, but pretty good. Kira: Okay, so it’d be fun to dive into some of the previous shows, or the last 10 shows. I know we don’t have time to cover all of them, but it would be fun to just touch on a couple of them that stood out to you, or maybe has impacted your business. I’m interested to know if any favorites stood out to you. Rob: I just have to say every time we’ve talked about doing these kinds of episodes, I start reviewing through the people that we’ve talked and it is so hard to pick out a favorite, right? Because recently we’ve talked with Marian, and that was just such a great episode. We’ve talked with Pete Michaels, who walked through so many of the different things that he’s doing. Just so many of these people that are engaging and fun to talk to and we learn a ton from, but I’m going to choose our discussion with Joel Klettke. I think he’s probably on your list as well. He just said so many good things that I think any writer that’s trying to establish themself as a serious business really ought to pay attention to what he laid out there. He talked about his process and the process page that he has on his website and how he walks every one of his clients through that. He talked about onboarding and roadmapping, and even we asked him to spell out a roadmap for the roadmapping session. I really liked when we asked him can anybody do what he’s doing, and I think he was really brutally honest in saying, “Yes, but.” Yes, anybody can do it, but it’s going to take a heck of a lot of work. It takes a decent network. It takes a ton of time. It takes focus and maybe sacrificing some things that you want in other parts of your life to get there, to be a six figure successful copywriter. I just thought the advice that he gave us in that episode was second to none. What about you? Kira: Yeah, Joel was on my list definitely. It’s funny how I feel like I’ll start doing something in my business and I’ll connect the dots to one of the interviews that we’ve had. I actually had my first roadmapping session recently where I charged for it, it was separate, it was pre-website copy. Before we even talk about the copy and dive into that project we’re going to have this strategy session. I realize I connected it back to Joel’s interview. I’m sure we talked about it in a couple other interviews as well, but that was just really helpful to think through we are consultants. We have strategy, especially if you have a good amount of experience. We aren’t just the writer, so how can we position that and leverage it so that it helps us in our process and it also helps them so that if they weren’t to move forward with you and work with you on let’s say web copy, they would walk away from a roadmapping session with a really solid plan that they could take away. That really stuck with me and I actually implemented that, which was great. I also really liked that Joel just shows up to everything with so much enthusiasm, and I think that’s why it was such a great episode. That’s how he shows up on stage if you’ve ever heard him speak. He is just there 100%. I really appreciated what he said about starting off his business and charging high right out of the gate with confidence, because so many of us feel like we have to start low because we’re a new copywriter. That’s a conversation that is ongoing in the Facebook club. People pop in there and they say, “What should I be charging? I’m just getting started?” I think that Joel just kind of flipped the script and was like, “I’ve got experience. I can charge this much. Why not? You know, I have the expertise. Maybe I haven’t called myself a copywriter, but I’ve got it.” I really appreciated that, and I think that more copywriters should start out charging a higher amount than they may think. Rob: That’s spot on. So many people come to copywriting from other areas. They’ve been doing marketing, or they’ve been doing operational things in a business, or they’ve been running their own small business maybe. Then they start copywriting and they say, “Well, I’m just a beginner,” and the fact of the matter is that all of that experience still counts for something. They may just be starting out as a writer, but they’re not a beginner in knowledge in what they bring to the client. It’s okay to start thinking beyond, “Do I charge two cents a word as a beginner,” and start thinking, “You know what? My hourly time is worth X.” Maybe it’s $50 an hour, or maybe it’s $200 a hour. Using that sort of as a baseline to sort of figure out, “Okay, so what should I be billing for projects that take, you know, about this much time?” or, “What kind of value can I deliver to the client, and how much of that should I be getting versus what portion of it they get?” I think that’s a really great conversation that’s happened several times in the Facebook group, and something that’s important for a lot of beginning writers to hang on to. Kira: Yeah, and I’m guilty of it as well where I forget about the fact that I’ve been in marketing at startups and nonprofits for like a decade or more, and I just focus on, “Oh, well this is when I put on my copywriter cap so this must be when I officially started and when I should start charging,” and just doesn’t work that way. Joel also mentioned that he believes you can show how good you are and what value you bring by showing your process, which you mentioned. He suggested that you can share on your blog different case studies, or kind of work through processes of a recent project through your blog so you can showcase the thinking behind the project. It’s almost like we talk a lot about the results from let’s say a launch, but if you could share what were you thinking as you worked on the different pieces of this launch to pull it together, that’s really the best way to show potential clients how you operate, how you think, and give them the confidence in your work. Rob: Yeah, and then eventually your portfolio’s full of stuff that you did two or three years ago and it’s not up to date, and it’s maybe not even the stuff that you’re working on. Yeah, I totally agree with that. Kira: Yeah. It’s easy to assume that because you know how good you are and you know what you bring to the table that everybody just knows that, and they don’t. Rob: Yeah. Yeah, that’s exactly right. Kira: Who else stood out to you in the interviews? Rob: Let me do one more and then I want to ask for your favorites. I really enjoyed talking with Roy Furr. I’ve sort of watched Roy from afar for the last year or two and what he does in his business. There’s so many things that I admire him for. Roy emails his list every single day. That’s amazing to me that he can put together between 800 and 1000 words every single day to his list, in addition to the fact that he’s also taking on four or five significant mailing packages for clients. He does it every single day without fail. It hits your inbox at 5:00 Eastern every afternoon. I was just really impressed by that. I also really liked he walked us through how he went from earning say $2000 a project at the beginning of his career and how he decided to land on that price, to what he’s doing today at $20,000 or more per project, plus royalties. He basically stepped us through every time he raised his rates. I just thought that conversation was really enlightening, because we all want to raise our rates, but I think we’re afraid to. You’re afraid that you’re going to lose the next client or you’re afraid that old clients are going to balk when you say, “Hey, I’m no longer $50, I’m $75 an hour,” or, “I’ve gone from $200 an hour to $400 an hour,” or whatever that next step is. Roy basically just said, “You know what? I’m just going to see what happens,” and he did it. Of course he was delivering real value to his clients. He has winners and packages that perform and do really well, and so he could easily justify that. It’s just a great conversation. Kira: Yeah, and I think that was great because the two of us love sales pages, long-form sales pages, so I know we were so into that conversation. I think it just the way he walked us through the different stages and how much he was charging at every stage, and his transparency was I think just inspiring for a copywriter to know that, hey this is possible. You can make 20,000 on the long-form sales page, plus royalties and it’s not crazy. Here is somebody who has done it. Course he’s done the work and he’s got talent and he is the first to admit that, but this is possible for all of us. I think it’s really exciting. I did enjoy just hearing about his process of what type of research he does and how it all comes together. You can listen to that if you want to hear more about how he pulls together those sales pages. Rob: So Kira, tell me which conversation stood out to you the most. Kira: Yeah. I’ve got to hand it to Tepsii who just kind of blew me away, because I didn’t know much about Tepsii other than I kind of had an idea that she was an overnight success story and I had heard her name, but I didn’t really know her story and how she grew her business overnight supposedly. That was a really fun conversation, especially because she just kind of shared everything and was vulnerable and shared the harder parts of growing a business fast. I really appreciated that because I don’t think we always go that direction in our interviews where we talk about the dark side and what really happens behind the scenes at times. I really just appreciated that she was so open. I think she also had just some really smart strategies for scaling fast and getting referrals. She mentioned the power of referrals and asking your clients, if they like what you did and they like your project and your work, to post in a Facebook group and share it and give you a shout-out. That’s really how she grew fast. She grew in Facebook groups. Rob: Yeah, a lot of people I think in the club have asked about, “Hey, I need to get a client really fast,” or, “What do I do to find more clients?” I think listening to the way Tepsii talks about how she added value to Facebook groups is a really good strategy, for the right people anyway, to find clients, and to build a business. Kira: Yeah. She also mentioned something that stood out to me is that she went to this conference and she was one of the few copywriters there intentionally. She forced herself to ask a question and give her name and as a question that positioned her as an expert in the room. Her goal was to walk out of that conference with everyone knowing her name. I thought that was really bold of her, especially because I’m someone who does not like to speak up at conferences and ask questions. I’m usually in the back row relaxing. It pushes you out of your comfort zone, and I think she said that herself. That was not something that she did easily, but she knew it was important. I think if you show up to events and conferences and just show up online kind of pushing yourself out of your comfort zone like that, you will stand out. I know she also mentioned that she lives her brand. She’s kind of made her mark through her style, through her signature bun, and through her fashion and her garb as well, that it’s different and it stands out. Rob: What she’s done with her business is pretty amazing. She’s gone through a year or two of writing and now she’s doing a lot of coaching. I was really impressed with what she’d done, and I think there’s a lot that I personally can learn from her experience. Kira: So Rob, who else stood out to you? What other show? Rob: Let me do one more: Brian Kurtz. I know you and I both have a soft spot in our hearts for Brian. In fact, we joked that you don’t really interview Brian, you just kind of give him a question and you just let him run. If you listen to that episode you see that that’s exactly what happened. Brian talked about masterminding. He’s in six different masterminds. You and I have done masterminds together, but he talked a lot about the power of that. The other thing that I loved that he talked about was his formula for the next million dollar copywriter. He talked about how copywriters need to do more than write. They need to become advisors to their clients. They need to focus on the craft of writing and get really good at understanding all the things that go into creating a good piece or content or a good sales page, that kind of a thing. He also talked about focusing intensely on whatever it is that you’re working on. Then the last thing that I really liked that Brian talked about was the story he shared about Mariano Rivera, who is the closer for the Yankees, or was the closer for the Yankees, the best closer in baseball, and he only had one pitch. As Brian tells the story, he was willing to teach this pitch to anybody who asked. He was willing to share and help others develop the same skills that he did. It wasn’t just a competitive advantage that he wanted to keep to himself, but he was willing to share it with anybody. The fact that he was the best in the game, willing to teach others, I just think is really impressive. That’s one of the things that we see happening on the podcast all the time where some of the best writers in the business are coming on and sharing their secrets with all of the other writers who are willing to listen. I love the story, and I love what Brian is doing and helping other people do the same thing, and what you and I I hope are creating a community where the other people there are going that Mariano Rivera thing. Kira: I’m glad you shared that story again, because I think you’re right. That’s what’s happening in the club, that people are just stepping up and sharing their insights and their experience and they’re not necessarily like, “Hey, I’m going to charge you for that.” It’s just a process of giving and collaboration over competition. What Brian had said is just basically the people he’s seen succeed are the people that have that mindset and are giving, and they’re not trying to hang on to their best kept secrets because they don’t want their competition to get it. I think just hearing from him, knowing that he has been around. He has seen the most successful people in the direct mail space and copywriting, so he knows who’s successful. I think just to hear him say that I’m like, “Oh, okay. Well, you know, if Brian knows that, I’ll believe him.” It just kind of reinforces that mindset around sharing and collaboration. Rob: Yeah, exactly. Do you have another favorite? Kira: I do. I do. Okay, one last favorite. Of course they’re all favorites, but okay, James Wedmore stood out to me. I’m just such a fan of James. He’s just a really great person. He’s not a copywriter, but he does praise the art of copywriting. He has done his own copywriting for years and only recently started hiring people to work on his copywriting. I think just to hear from him, someone who’s been in this space on online marketing for a while, how important what we do is to this world and this space. It just reinforces what we all are doing. It validates it, and so that stood out to me. I really wanted him on the show to speak about this ascension model that he has shared, which you can listen to that episode to really hear the details of it, but it basically is a really great model in which you can shape your business in which there are different layers. Each layer it’s you’re starting at the bottom with free content to build your community. Above that you have a DIY course. Then above that you have some type of group coaching or retreat or workshop that can help people get results faster. It’s kind of for people that want to learn beyond the DIY course. Then above that you could have a mastermind, which James has created different masterminds. At the top of this ascension model is the one-on-one time. If you are looking at your own business, and I’m looking at my own business as a copywriter, your one-on-one work, your client work, writing web copy, content, sales pages, that is at the top of this model, which means that it requires the most time from you so you should be charging more because it’s more access to you. Rob: That was one of the most interesting things to me to think that the writing that I do should be the most expensive thing that I do is a little bit of a game changer. Kira: I know. Really if you haven’t listened to that show, it’s worth it because it is a different shift of perspective on your own business, because if our work is at the top of that model, are we charging enough? Most of us probably are not. It’s just a different framework if you want to scale a business that way, and some people may not. But I know for me it’s a way that I’m looking at my business now and kind of following that model. That really stood out to me. I think also we started off that conversation talking about YouTube, which I haven’t created that many YouTube videos over the last five or so years, but I know you and I talked about potentially creating a channel there for the club, because it is a great place. That’s where people go to ask questions. It’s like the huge search engine, which I didn’t even think about that people go there first to ask questions. What if you could answer their question with a video, and what if we could answer questions about copy with a video? It’s just a really smart way of looking at it if you are interested in the video space. Rob: The other thing that I really liked what James talked about was your lightning round question where you asked him about balance. We’ve talked a little bit about this already today, but he makes a concerted effort to fit in the important parts of his life first and then he layers in work on top of that. We joked that it was a good thing that there were no waves in the ocean that day, otherwise he would have ended our call early to go surfing, because that’s where he finds the most value in his life. Kira: Yeah, and he really does live it, so he’s not just talking. He’s one of the entrepreneurs who’s running a seven figure business legitimately, has a team, is doing incredible things, and growing a business fast, and yet he does take time for play, and for relationships, and to hang out with his wife, and to hang out with his team. It’s really cool to see somebody doing that because I feel like we see so many people just working themselves into the ground. Who want’s that, right? If we want to aspire to create our own business don’t we want a little bit more freedom and play in our lives? It’s cool to see him do that. I do think of it often in my business around, hey if I want to go for a jog today, in the past I may actually look at it, and this is really messed up, but I was like, “No no no no, I shouldn’t do that because I’ve got work to do.” The way James looks at it is that going for a jog, that is part of your work. That’s what fuels you, gives you energy so you can be the best writer, or you can make good decisions, or you could bring a little bit more happiness into your work instead of being stressed out. I do think of it often now when I’m deciding, okay well, maybe I should take a timeout and do something else to kind of reenergize rather than just sitting at my laptop all day. Rob: Yeah, this is setting off alarm bells in my head right now just based off of what I said I was struggling with earlier. Maybe I need to go back and relisten to that episode all over again. Kira: The last part that stood out about the interview with James is that we asked him how you could deal with the question who am I to be doing this? I think that’s the question that so many of us think about, especially if you are building out something new, or you are increasing your rates, or you’re launching a course or group coaching or mentorship. Who am I to be doing this? I know that question pops into my head all the time. It was fun to hear his response to that. I feel like I kind of want to leave that as a cliffhanger so if people want to hear his response they have to listen to that episode. Rob: Yeah, I think that’s a good idea. We would encourage everybody to go back and listen to the episode with Shanelle, the episode with Josh, Marian and Pete. They all had such good things to share, so go back, listen to those again, take notes, apply it to your business. Hopefully the resources that we’ve created here is just helpful to everybody. Kira: Yes, agreed. Rob, what happens now? Rob: That’s what I was just going to ask you. We get this question a lot lately where people say, “Hey, you know, you guys have created a great group. You’re doing the podcast, but where’s this going? Is it just a passion project?” Yes, it is a passion project, but we also want to help answer some of the questions that are coming up in the community that we’re seeing over and over and over. Kira: We’ve been paying attention to what people are asking in the group. There are so many great questions, but it’s clear that there are different levels of copywriters in the group. I think what’s really cool about it is that we’re all kind of in this one room, and you have copywriters who aren’t even quite copywriters yet. They want to get their first project and land their first gig. Then you have these pro copywriters who’ve been doing it for ages and have really made a name for themselves. They kind of jump in here and there and share advice. What’s really cool is that we’re excited to focus on new copywriters because there are a lot of questions coming from new copywriters now about where to find their clients, about how to create processes, about whether or not they should choose a niche, and how they should package and charge. There’s so many questions when you’re starting out. There’s clearly a need. There are clearly questions that we can answer, and I think we’re both the type of people that like to kind of get our hands dirty and just kind of get in there and give support and feedback and tell people, “Hey, this might not be working for you. Why don’t you think about it this way?” We’ve packaged, what do we call it, Rob? A program, an accelerator? How would you describe it? Rob: We call it the copywriter accelerator. This is a program that’s for people who are a little bit beyond the hey I want to get started stage. For anybody who has said, “Yep, I’m a copywriter.” They have a website. They’ve got sort of those first steps. Maybe they’ve started working with a couple clients, and really want to know how do I put together all of the other pieces of my business? We will help accelerate that so that you don’t have to figure that out on your own. You don’t have to piece it together from blog posts across the web, or even from little snippets of advice that you’d see in the Facebook group. We’re going to put together a six week program that will step people through and help them go from where they are today to where they feel confident about their business moving forward. We’re not promising that this is going to make you a six figure copywriter or that you’re going to be sitting on the beach when you’re done sipping drinks with umbrellas in them living the high life. That’s not what this is about. This really about how do you set up a business so that you’re going to succeed? Kira: It’s really also about getting more attention from us. I think we both spend a good amount of time in the club. I try to get in there as often as I can and I know you do as well, but I think we both want to help more so, and we kind of want to see who puts their hand up to say, “Hey, I want more of your help.” This is a way for us to kind of figure out who are these people who want more help, and be able to give them more attention and help them out, and kind of just get in there with them so they aren’t quite so alone as they’re figuring this out. Because I think from my experience I learned early on that kind of masterminding and getting feedback from other copywriters that have more experience than you or have different experiences than you, that’s how you can advance and grow fast. I learned that through a mastermind that I joined where I met you, and that has made all the difference for me. Rob: Exactly. We’ve heard so many different guests on the podcast talk about being in a mastermind, or having a group of writers that they can bounce ideas off of. We just really want to formalize that process. It’s not the kind of thing that you can do in a Facebook group with 1500 members, but if we can take a small number of copywriters and really focus in on ideas very specific to their business, we’re going to actually take time to work through those issues with a set of copywriters, and I think we’re going to have a lot of fun doing it. Rob: I’m excited to share that one. We also have Kate Toon, who runs a copywriting school in Australia and has her own podcast, the Hot Copy Podcast. 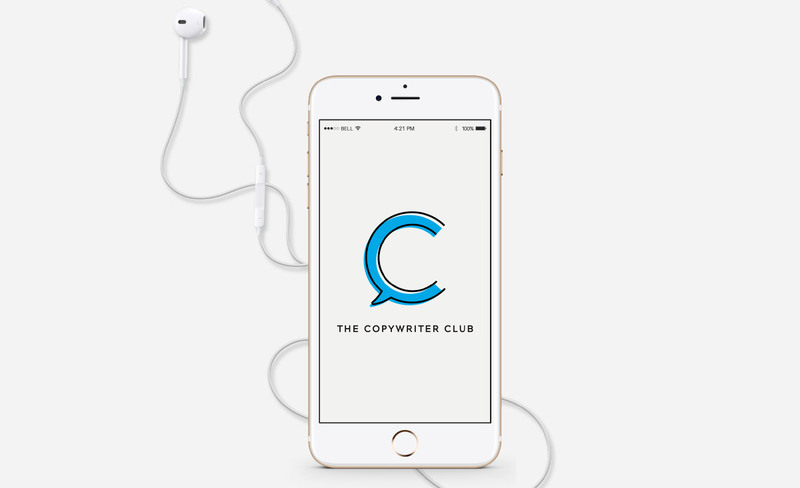 We’ve joked that it’s the second best podcast about copywriting. She’s going to be joining us for the next episode. We have interviews with group member. Sarah Grear and Misha Hettie are coming on, and we have an interview with Ken McCarthy that we’re excited to bring to everybody. That’ll be coming out in a few weeks. Kira: Yep, looking forward to it. Rob: Anything else, Kira, that we should cover? Kira: I think that’s it. I think stay tuned. We have a lot more coming out over the next few weeks. You’ll hear from us more often and we’re really excited to see who’s ready to jump into the accelerator with us and really just get your hands dirty and build your business. Rob: Yeah, so before we close then, if you like what we’re doing in The Copywriter Club, especially the podcast, please leave us a review on iTunes. That really helps us get the word out. If you’re not in the Facebook group, jump in there because it’s just such a great group of people helping each other out with ideas, suggestions, rants about clients, what should I do about this issue. It’s just a fantastic group, so get in there and participate.